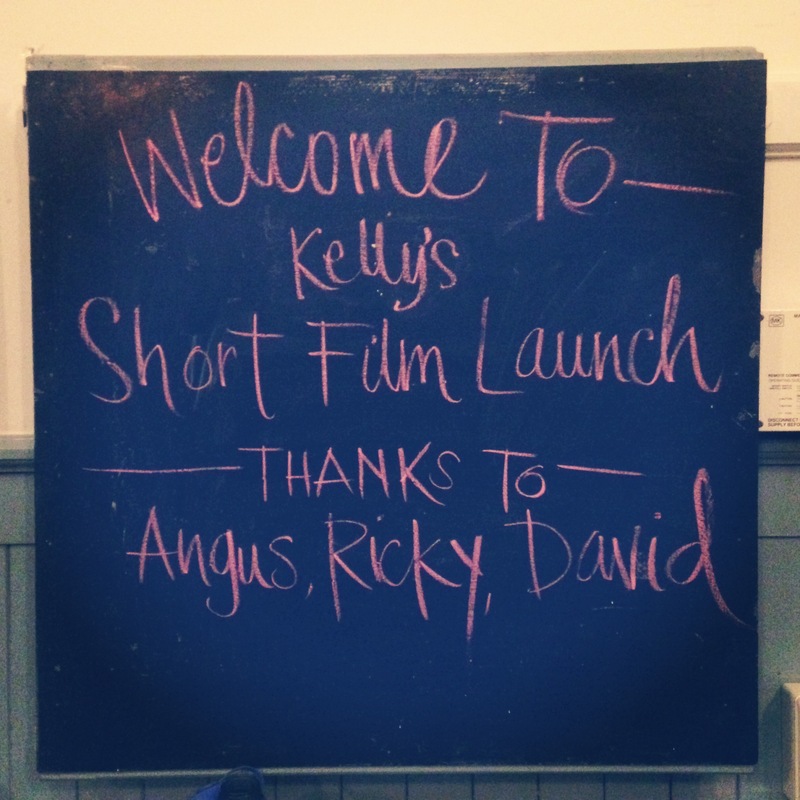 Tribute to Angus, Ricky and David. This event was a thank you to them for their handwork and great effort. The time has finally arrived, after 18 months in the making, my short film is finally complete. I worked in collaboration with 3 talented men to create an inspiring, uplifting video about how to transform my drawings into print through the silkscreen process. It was great fun to shoot, although I didn’t particularly enjoy being in front of the camera but the guys had some great tactics to get me out of my shyness. The purpose of this video is to show the process of how an original print is made as opposed to a reproduction/giglee print which is a high quality photocopy/output of an original artwork. Many people confuse my screen prints with that of reproduction prints and so I have spent the past 12 years explaining the difference between them…now the video will help explain the process in an upbeat, inspiring little 3 minute video. 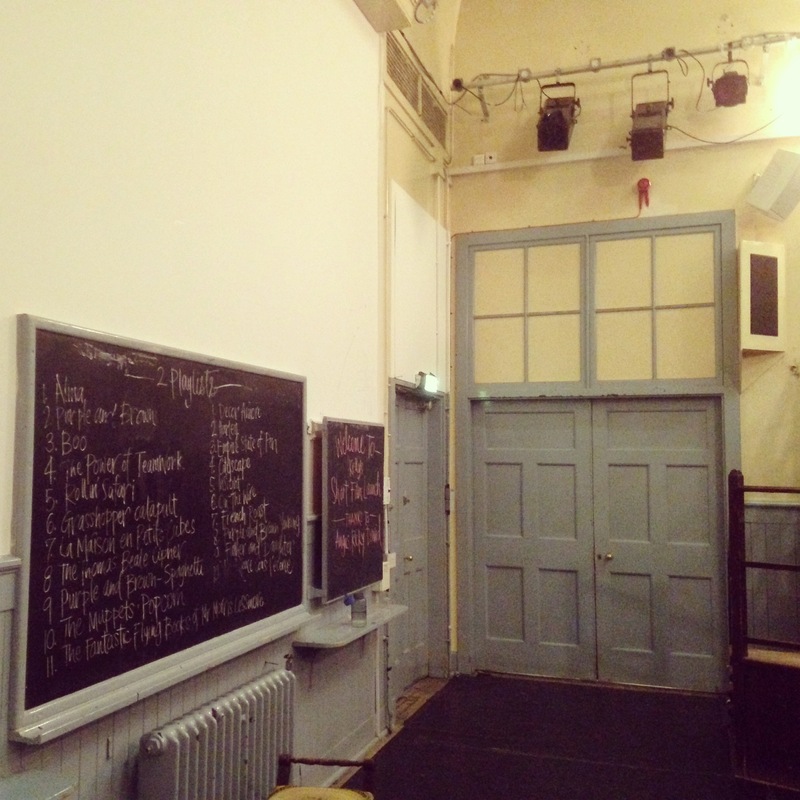 I launched the video in the Anatomy Room at Summerhall, a beautiful, quirky theatre/lecture space, perfect to show short films. I selected an hour and twenty minutes of inspiring, creative short films to show on the night before screening our video for the first time. I opened the night with the Muppets popcorn video and then proceeded to hand out bowls of freshly made popcorn to enjoy while watching the films. I had seen the 1st and 2nd edited versions of our film, but kept the final edit as a surprise on the night. The music was written especially for the film by Raff Eragona who watched the film while making the music itself. I also kept the music as a surprise so the launch night was the first time I’d heard it. I was in for a treat! 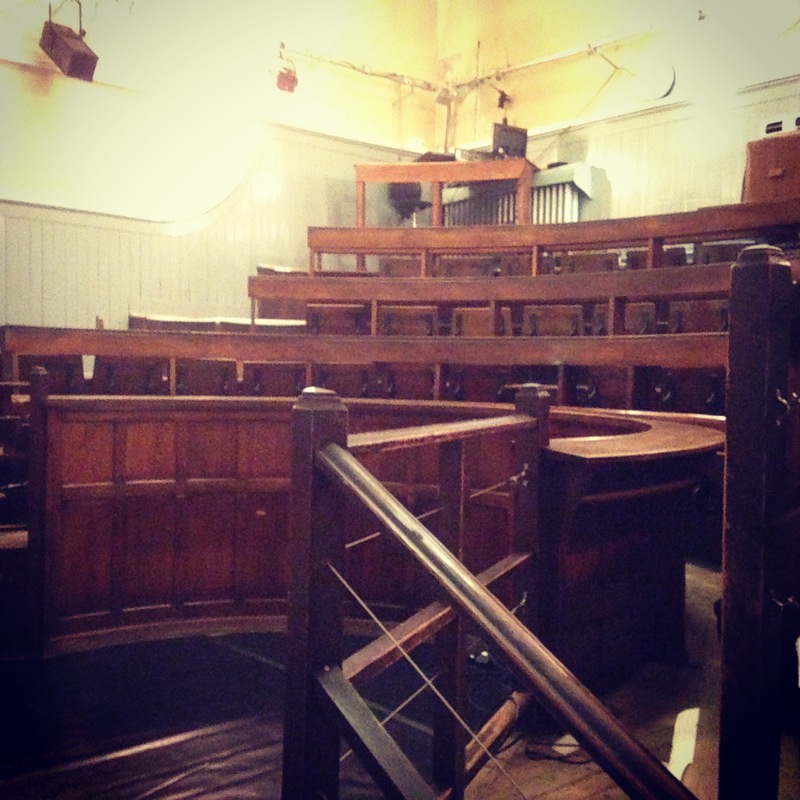 The beautiful original wooden amphitheatre pews as they curve all around the room. It smells like wood in there! I hope you enjoy it. Comments are welcome. I will be inserting this video into my website for future reference.